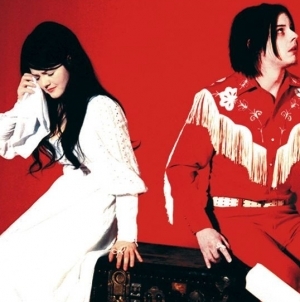 These are the best songs of the 2000s. 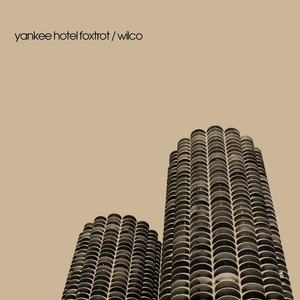 There’s something dreamlike about “Break Your Heart.” There’s a loose sound collage happening behind Tweedy throughout the song, and while the connective tissue is hard to grab onto at times, it makes perfect sense for the song’s narrative. Glen Kotche’s the first member we really hear; Kotche’s drumming prowess is unquestionable, but it’s remarkable how well he does to set us up for the woozy tones of the song, with just cymbal crashes mixing with a synth wave and a metronomic beat. Kotche’s fever-dream beats mingle with Jay Bennett’s array: organ, toy piano, Wurlitzer. Jeff Tweedy doesn’t show up for a full minute, and his speech is slurred: “I am an American aquarium drinker/ I assassin down the avenue.” The song’s obtuse, corkscrew narrative will lead us back to a place before he ditched “disposable Dixie cup drinking” and graduated to full aquariums, as we watch collapse happen in reverse. Tweedy is rarely direct, but lines like “Take off your Band-Aid, cause I don’t believe in touchdowns.” are even more challenging to parse than usual. He speaks of the tumult of love in cryptic phrases: “Let’s forget about the tongue-tied lightning/ Let’s undress just like cross-eyed strangers.” It’s a way in to his life, but he’s not going to make it easy. 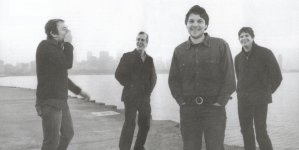 As the song ends, the pretense of structure is thrown out and Tweedy is forced to abandon his drawl to shout over the maelstrom: “What was I thinking when I let go of you?!”. The entire career of The Rapture pretty much begins and ends with this song. 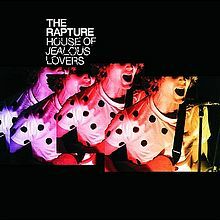 Prior to “House of Jealous Lovers,” The Rapture were just a regular ol’ indie band that sounded like Modest Mouse covering Public Image Limited songs. It wasn’t until James Murphy and Tim Goldsworthy approached them about recording “House of Jealous Lovers” that everything changed. The version Murphy put together was initially dismissed by the band and Sub Pop for straying too far afield from the band’s sound and Sub Pop decided to set the band loose. Murphy and Goldsworthy snapped them up and released their version of “House of Jealous Lovers” as the first DFA Records release. Initially pressed as a 12” in the summer of 2002, DFA marketed the record to dance clubs, where it became a huge hit. Major labels soon came sniffing but The Rapture chose to stick with DFA, particularly since the DFA production team had become so integral to the band’s process. 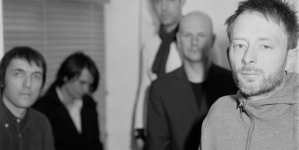 It was over a year before The Rapture finally released their debut album Echoes and a new, shorter version of “House of Jealous Lovers” was released along with an accompanying video. “House of Jealous Lovers” is the epitome of dancepunk. It is raw, sweaty and kinetic, combining the alien groove of PIL and Liquid Liquid with the crude energy of James Chance and the Contortions and Gang of Four. Aided by Murphy’s detailed production work, the band’s energy oozes through the speakers. Just check out that perfect hi-hat sound (a long-standing Murphy obsession) and Matt Safer’s rumbly nimble bass. Guitarist and singer Luke Jenner’s guitar crackles above the rhythm section while his voice scrapes out the inside of your skull. The combination of all of these elements is simply electrifying. 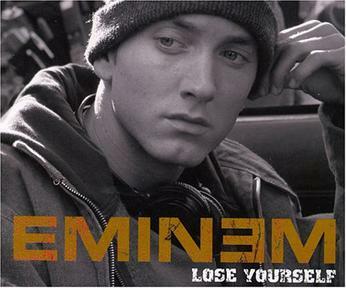 “Lose Yourself,” the first single off the soundtrack to the film 8 Mile, is peak Eminem. Rapping as and about his alter ego, Rabbit, from the film, Eminem transforms a semi-autobiographical narrative into the ultimate motivational anthem, exchanging grim moments of gritty realism with triumphant ones of overcoming the odds. Along with the film, “Lose Yourself” marked a high point in Eminem’s already successful career, hitting number one on 24 charts around the world, getting nominated for five Grammys (winning the award for Best Rap Song) and winning the Academy Award for Best Original Song, the first hip-hop song to do so. Despite its success, it didn’t take the Detroit-raised rapper long to cut the track. In fact, during a break while filming 8 Mile, Eminem recorded it in a portable studio on set, recording all three verses in “one shot,” to quote the song’s lyrics. After a brief piano intro, the Rocky-esque electric guitar pumps in, with Eminem providing the thesis of the song in spoken word: “Look, if you had one shot, or one opportunity to seize everything you ever wanted, one moment, would you capture it or just let it slip?” From there, he explodes into the first verse and begins developing the quintessential underdog story. He recounts the nerves that rattled Rabbit’s earliest rap battles: “His palms are sweaty, knees weak, arms are heavy/ There’s vomit on his sweater already: Mom’s spaghetti,” but locates a redemptive arc in Rabbit’s persistence. The chorus emphasizes the necessity of such persistence, advocating that he (and, by extension, the listener) must seize every opportunity and persevere through doubts: “You only get one shot, do not miss your chance to blow/ This opportunity comes once in a lifetime.” In addition to his ability to motivate others through his storytelling, Eminem’s verses also employ sophisticated polysyllabic rhymes, finding the perfect cadence and rhythm to match the fist-pumping beat. 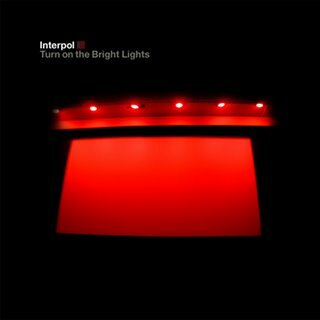 Drummer Sam Fogarino has always been Interpol’s secret weapon, conjuring a righteous thunder that instantly gels with Carlos D’s melodic basslines. Here, they are at their most primitive, Fogarino forcefully economic in his fills and propulsive in his snare rolls, while Carlos D remains tightly packed in the groove’s pocket. A simple two chord progression carries the song throughout, guitarist Daniel Kessler wafting the chords around with just the right amount of reverb — enough to mitigate the claustrophobically quick chord changes and give the song a rooftop opening. “I know you’ve supported me for a long time / Somehow, I’m not impressed,” murmurs Banks, high-pitched synth pads softly wafting down and into a gentle crescendo into Kessler’s clattering subway-rhythm guitar leads. Bank’s vocals are a quavering yet rich baritone that is instantly attention grabbing. Ian Curtis comparisons are on point, but Banks is less abrasive, more reserved in his delivery. “It’s up to me now, turn on the bright lights,” he croons, eyes gazing downward. In the early 2000’s, New York City’s music scene was the dingy dive bars of the Lower East Side and Alphabet City, a playground for rich kids playing hooky on life while aping the Velvet Underground or the Stooges in a bid to get famous. The late 2000’s saw a drastic shift, though, one that extended beyond music as a concept being forced across the East River due to rising rents. The layabouts playing rock music for quick fame seemed to fade into the background, replaced by trained musicians with a thoughtful, insular way of working. 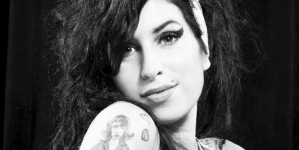 The ideas were more expansive and complex, going far beyond the world of 4/4 rock. It was an environment that was ready to accept the National’s morose, contemplative indie rock, which was perhaps a bit too slow for the breakneck party that was going on earlier. 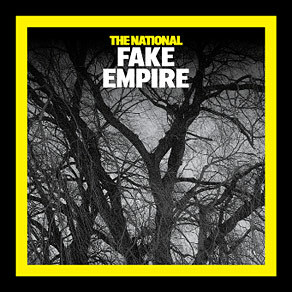 A song like “Fake Empire” likely wouldn’t have gotten any traction in 2002, but in 2007 it became an anthem.